Ontario Impaired Driving Defence: Fight Your Charges! Here are five interesting criminal court cases involving impaired driving defences. 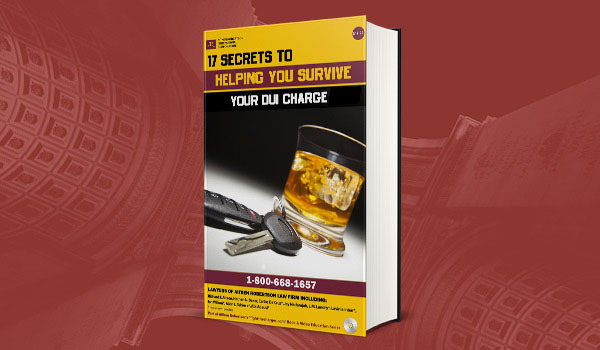 Learn how others have successfully fought their DUI or impaired driving charges. Perhaps one of these defences will apply to you. However, it is important to note that every file Aitken Robertson takes on is different and that your case may well be different to one of the cases listed below. To overcome a Care and Control Over 80 charge, we either: had to show that Mr. C. was not, in fact, in care or control of the vehicle; or, have the evidence of the breath readings showing the high BAC, excluded. Over 80 cases are highly technical and involve a mixture of statutory and constitutional requirements. Failing to meet, or the violation of, those requirements often results in evidence being excluded and an acquittal entered. Mr. H. had been charged with Over 80 and with impaired driving. While the officer had dropped the “refuse” charge, it was possible that the charge could be resurrected. It was also possible that a dangerous driving charge could be added. A trial would be risky, especially if we had to face four charges rather than two. We had to prevent these additional charges being added to the existing two charges and if possible to avoid a trial in this case. We started by filing a Charter challenge to argue that Mr. H.’s rights had been infringed by police and then we approached the Crown to attempt to negotiate a plea to the non-criminal offence of careless driving which would not leave Mr. H. with a criminal record.